Should shipment be delayed due to circumstances COCOMO cannot be made liable for, the available item(s) will be sent via the primary mode of delivery the buyer first selected. The buyer hereby assigns the partial delivery to be done via Normal Mail (Singpost) with proof of delivery. If buyer wants to opt out for partial delivery, buyer has to notify seller that only complete orders can be sent. This can be done by dropping a note at MEMO TO SELLER page before carting out their purchases. While COCOMO strives to ensure the accuracy of its product images and information, some manufacturing changes to packaging and/or ingredients may be pending update on our site. Although items may occasionally ship with alternate packaging, freshness is always guaranteed. We recommend that you read labels, warnings and directions of all products before use and not rely solely on the information provided by COCOMO. 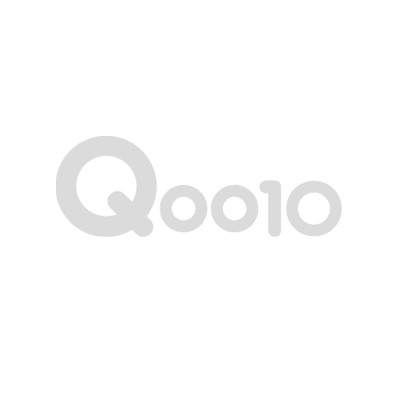 By shopping in COCOMO Qoo10, you agree to be bound by the Terms and Conditions and decisions of OUR COCOMO PTE LTD.
For all types of exchange inquiry, there will be shipping charges plus an admin charge per item exchange and we will only allow an exchange for once. If buyer wants to avoid paying these charges, all exchanges can take place in person in our warehouse after our confirmation. All parcels will be delivered to the letterbox directly via Singpost. In the case of large parcel which may not fit into the letterbox, the postman will deliver to your doorstep. If delivery is undelivered (nobody is at home), the postman will leave a collection slip at your door for collection at the nearest post office. No tracking number is available for normal mail so please be advised that it is AT YOUR OWN RISK. STRICTLY NO REFUNDS WILL BE PROVIDED thus Delivery with TRACKING is HIGHLY RECOMMENDED. Delivery usually takes 2-5 working days but minor cases delay up to 3 weeks. We do provide the photo proof of your NORMAL MAIL parcel. However, do understand that we will take 3-14 working days to extract the photo proof of your parcel from our CCTV or Phone Devices. Any inquiry in regards to normal mail will be answered via WATSAPP (+65 8425 5525) or QPOST within 3-7 working days only. The shipping fees will not be included if you decide to spend $70 in COCOMO under the same shipping group. You may combine any items in our shop to get free Qxpress delivery above $70 spent in COCOMO. Kindly select Qxpress $3.99 for ALL item listings. The shipping fees will not be included when you cart out. Discovered this brand by chance while shopping in Qoo10. Hope that it works as the reviews claimed. Received item in good condition. Not sure if this will work, still monitoring. Love the scent, and it make your hair soft and smooth. Fast delivery n received in good condition. Yet to try if good will purchase again. Thanks seller. Repeat purchase. Less hair loss after use. my 3rd purchase. Delivery is fast. Ordered 21/4 received 23/4. Items received in good condition. Thanks seller. Received in good condition, seen good reviews about this product. Trying it out since my old shampoo is almost finished. Goods received but not yet use it, no comments for now. 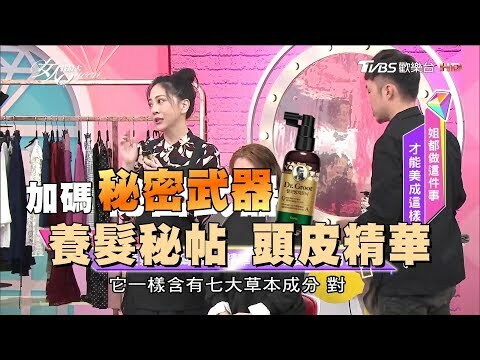 Dr Groot hair tonic is to apply on scalp right after shower when hair is wet or dry hair? Can children below 12 yrs old use the tonic if have hair loss problem? May I know if Dr Groot hair tonic and shampoo is safe to use for breastfeeding mothers? Which range can help with postpartum hair loss? Thank you for shopping with COCOMO! Feel free to WATSAPP us at 8425 5525 should you need further and immediate assistance. Hair conditioners and hair mask are both hair care products. A hair conditioner is generally used to provide the moisture to the hair. They make hair look smooth and shiny. A hair mask works the same way as a facial mask works. There are numerous types of hair masks for treating discolored hair, oily scalp and dandruff, etc. Generally, hair conditioners are kept for one or two minutes after applying it. On the other hand, a mask is kept for a longer time for at least fifteen minutes. conditioners are used more regularly than hair masks. A mask is often advised for a deep nourishment of hair. the dr groot weak treatment & conditioner can be applied to the scalp? yes dr groot range can be applied to the scalp without any worries! Have a blessed day ahead! Feel free to WATSAPP us at 8425 5525 should you need further assistance. how often to use the treatment? how to use? apply to scalp & hair, leave for 1-2 minutes, then rinse off? ★NEW★ SHISEIDO PROFESSIONAL ADENOVITAL EYELASH SERUM 6g! Directly Shipped from Japan! Laneige Innisfree.AHC BEST/Sleeping Mask.Essence.serum.cream.eye cream.skin.emulsion.eye mask. COCOMO - TOP BEAUTY SELLER IN SG!